Specially Designed, UNIQLO-original Frankenweenie graphic T-shirts featuring Disney’s wonderland New Film "Frankenweenie” by Tim Burton, Director (Alice in Wonderland). 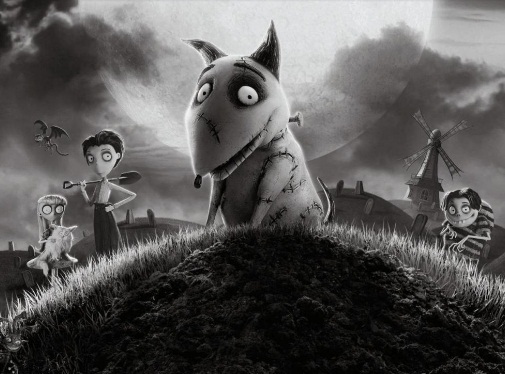 A stop-motion animated film, “Frankenweenie” will be filmed in black and white and rendered in 3D, which will elevate the classic style to a whole new experience. To commemorate the release of this film, UNIQLO Philippines released this October Frankenweenie graphic T-shirts in 15 different designs. The Frankenweenie graphic T-shirts was specially made to commemorate the release of the motion picture “Frankenweenie,” and feature designs including Tim Burton’s original sketches. The UNIQLO-original T-shirts will be available in a total of 23 designs (only in men’s sizes), and will go on sale in December. The graphic T-shirts depicting the wonderful world of Frankenweenie are sure to delight Frankenweenie and Tim Burton fans across the world. Good News to all Premiere Night Ticket holders because from September 30 to October 14, 2012 you get 200 Pesos OFF on all Frankenweenie UT. Woooottttttttttt! All customers who purchased Frankenweenie UT (at regular price) from September 30 to October 14, 2012 will get a chance to win Frankenweenie movie tickets. 100 movie tickets to be given away. Winners will be announced on October 15, 2012. When young Victor's pet dog Sparky is hit by a car, Victor decides to bring him back to life the only way he knows how. But when the bolt-necked "monster" wreaks havoc and terror in the hearts of Victor's neighbors, he has to convince them that despite his appearance, Sparky's still the good loyal friend he's always been.